A photographer who was sent on a mission to photograph Ethiopian toilets has seen one of his latrine shots help a life-saving charity project u2013 after falling ill with leukaemia. Freelance photographer Richard Hanson visited Ethiopia last year for Toilet Twinning, a life-saving project that helps an estimated 2.5 billion people worldwide who don’t have access to a ‘safe, private and hygienic loo’. For £60, people can twin a toilet at home, work or school with a latrine in the world’s poorest countries. ‘We were looking for a spectacular shot of a toilet in a rural setting; something that would be good enough to run as an advertisement in National Geographic magazine,’ said Richard, from South Yorkshire. However, shortly after taking the photo (see below) and returning home Richard was diagnosed with leukaemia. After receiving treatment at the Royal Hallamshire Hospital in Sheffield, Richard’s parents – impressed by the care that staff had given their son – decided to twin a hospital toilet with the one he had photographed in Ethiopia. Reflecting on his toilet photo mission, Richard – who has just received a fourth course of chemotherapy – admitted that the shoot had been a creative challenge with disappointing light and an ‘almost English murkey greyness’. 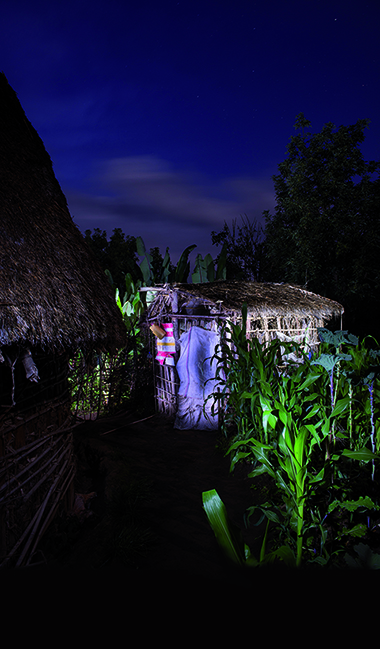 Toilet Twinning’s chief executive Lorraine Kingsley, said: ‘Richard’s diagnosis, within just a few weeks of him taking this night-time photo of a latrine in Ethiopia, was a huge shock to everyone. ‘This is such a difficult time for his family and friends, and those who have had the privilege to work with Richard.